As parents, teachers, and writers we need to band together and offer our young muses the advantages and understanding that reading and writing has to offer. The more people involved the better our chances in reaching a wider circle of children. Welcome to the Musing Our Children Website! 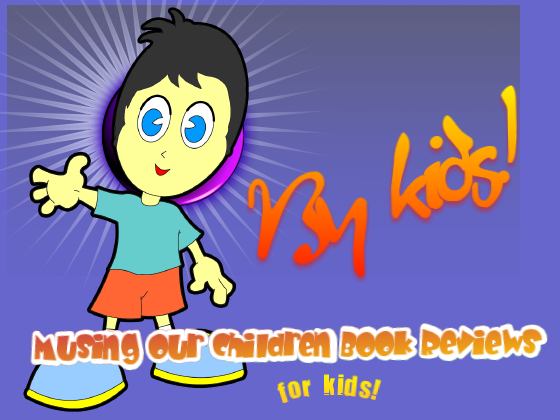 Click the pic above to enter our Reviews for Kids by Kids page. Here's an excellent project to encourage your children to participate all year round. Not only will they be reading, but they'll also be encouraged to write. We don't look at typos...We DO look for schools willing to participate and use our newest section to the fullest capacity. Link above for the guidelines. TESTIMONY THAT THIS WORKS FROM ONE OF THE REVIEWERS TEACHERS: "Genevieve continues to exhibit a positive attitude towards school. Towards the end of the marking period, she displayed great enthusiasm towards reading and writing. I think the on-line book review really sparked her motivation." We have discontinued our newsletter until further notice. Thanks for your support. Want a few ideas on workshops? Then check out Donna McDine's info in our Waving News page. 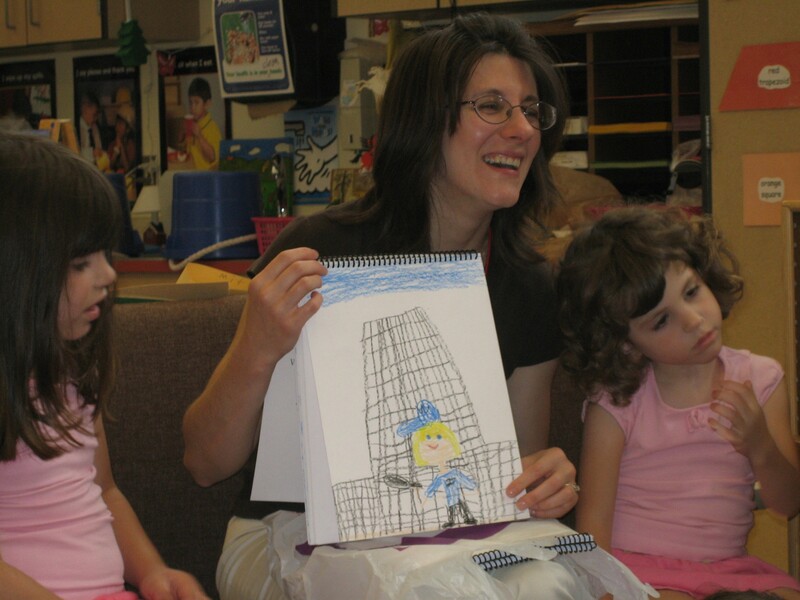 Read all about Donna McDine's school visit and what she workshopped with the students. While on that page, read all about Anne Duguid's visit workshopping with parents, not the students. Then continue to Marcia Berneger's visit during our Reading and Writing Appreciation Week. Please help support our cause by donating to our website. All money collected will be put toward a future project, contest, or collection of books to offer to schools to help build their libraries. 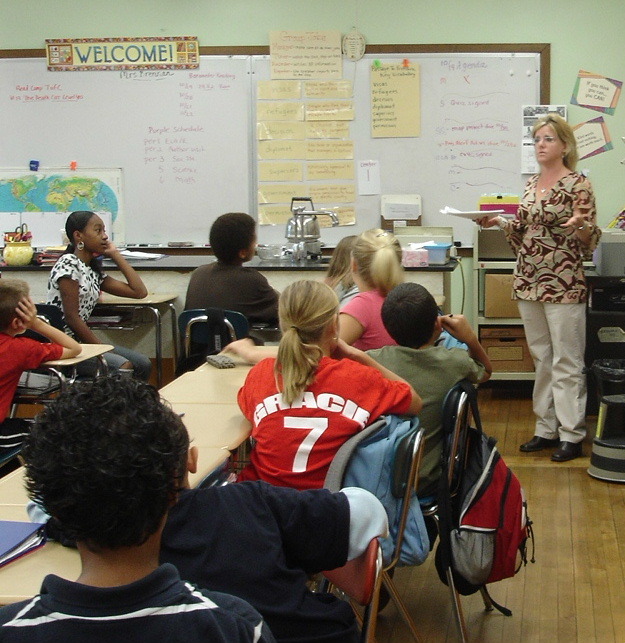 Click on the picture to find out all about the smile on Cheryl Malandrinos' face and the students. We'd like to thank Neal Shusterman for his support in reaching children around the world. "I’m pleased to be able to say that I’ll be speaking at schools the entire week of October 15th, culminating at a keynote address at the Florida Council Teachers of English conference. I’ve forwarded on your e-mail to other writers." We'd like to thank Suzanne Lieurance of The National Writing for Children Center for mentioning Musing Our Children in her site. If you have placed a mention in your newsletter or website, please let us know by sending an email to musingourchildren@hotmail.com with Musing Our Children on the subject line. Make sure to stop by our BOOKSTORE and check out our suggested reading books to purchase. Your support is greatly appreciated. Our Bookstore will change periodically so make sure to bookmark us and come back often. We'd like to thank Jewel Sample for mentioning our cause in Jewel's Sandbox News blog. Everyone's continued support and mention will only help us reach out to more writers, storytellers, illustrators and schools across the world to help our children learn the benefits of reading and writing. Thank you.